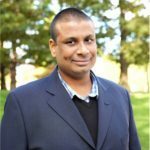 In a recent chat with Dipesh Shah, Guillaume and Grant Kemp discussed app analytics, my knowledge of this is from sitting within a dev team and working with the Just Eat app teams, but felt the insight was amazing and wanted to get it share as a blog post, I asked a couple of others to weigh in, including Sergio who is a GA/Apps genius and ex-Just Eat as well as David Iwanow who has incredible depth of knowledge of apps promotion. As such this post is as much an FAQ starter, if you have questions drop them in the comments and we will answer them, I am hoping that we do another one with video on ASO soon. GTM in the web has some native listeners (clicks, when page loads…) that doesn’t exit on the Apps, so all events have to be coded by a developer. Also it doesn’t benefit of that many “direct integrations” as there are on the web version. “Direct integrations” on the Apps GTM are available on the version 5 and this version drops support to the persistent datalayer. Therefore if you want to take advantage of “direct integrations” then need to send all the variables from the app to the datalayer for every event. Quite painful in my opinion. App analytics is a lot different from tracking visitors on classic websites. Most of the time you are talking about different audiences and different goals from your web. Apps are typically tracking people who have bought into the brand, and are already engaged. Apps should depend this engagement and make it easier, faster or richer an experience. Most importantly you are looking for what’s not there – as apps have a history of engaging frequently at the start and then vanishing. The goal for any app is to maintain engagement and keep the users coming back. Also, is Firebase now replacing GTM as being the supported method from Google ? Firebase is a game changer when it comes to mobile apps. Analytics isn’t a silo any more – Firebase ensures that is part of an ecosystem of tools that drive improvements in value. Its also so easy to implement nowadays, and so easy to change that to use anything else would need a much stronger business case. With two containers (one for iOS and one for Android) can I just export one to the other ? Unfortunately most seperate apps are built differently, which means that the two of them won’t be like for like – often there are restrictions, opportunities development differences which means like for like tracking isn’t possible, that said, normalising your naming conventions is a power move – especially if it matches the business glossary of terms, and in the same case! You can create a filter to lowercase everything, which is good particularly for source, medium and other utm parameters, which helps a bit. Is GA really the best for Apps ? Yes. It implements integrations with business tools that teams are already using – and allows powerful ways to query the data. Its my belief that if Google Analytics would have been created today- it would have looked a lot more like Firebase than GA. Its a much more efficient stack, it has templates ready made for most use cases. And just needs connecting in to the right places to start using it straight away. What about Cross user attribution – can we track users from Web to apps and back again ? GA can track cross browser sessions for the same type of device, using the user id implementation. However GA recommends to set up different properties (accounts) for each device, therefore it breaks the journey. Personally I’ve seen this implementation working for Android-iOS in businesses where the login page was right at the beginning, but never for Web-Apps. In this case the standard reports of GA are not exactly the same, neither the concept of screen/page but I think it could work if you know how to visualise this report. Grant Kemp is an analytics geek. He loves to create analytics and data solutions and give the capability to use them within customer teams. 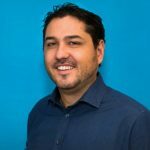 Grant has over 15 years experience in digital starting out as a developer and working across multiple verticals including ecommerce, publishing, startups and travel. 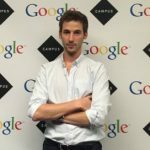 Grant Kemp works at Inviqa as a data and analytics consultant where he helps customers with Google Analytics, Google Tag Manager, Data Studio and a bevy of other tools to generate more revenue through data. Dipesh – Analytics Consultant agency side primary working with GA, GTM and the Google stack. Also work on a fair few attribution projects as well. What i love doing is finding an analytics solution for clients to give data and insights that they have not had before allowing them to grow their business. Making client realise that Analytics should be a core focus of their business driving business action and decisions. 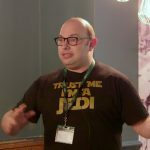 David Iwanow – Over the last 11 years I have worked and consulted with some of the largest companies and websites around Enterprise SEO, Web Analytics, Social Media, Content Marketing, AdWords campaigns, App Store Optimisation, App-Indexing and App Download Campaigns.